First things first take a minute to think of all the bands you’ve heard, past and present, good and bad. When this has been established try and imagine something that sounds completely unlike any of what you have heard before, and don’t be surprised if you struggle. However Abebisi Shank really are just that. 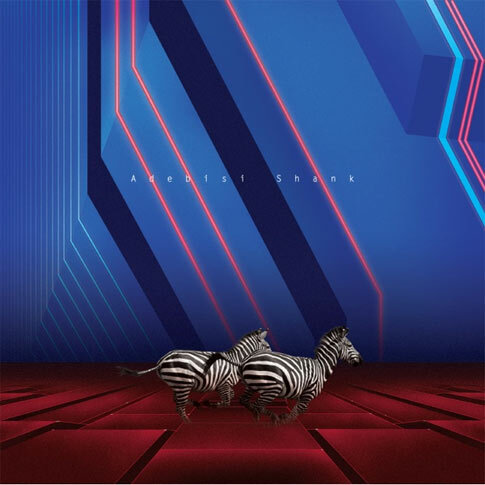 Adeptly named ‘The Second Album Of A Band Called Adebisi Shank’ it’s unclear how to describe what it actually is, in terms of sound it’s baffling, intriguing and damn right exciting. It seems to drop in and out of genres without ever really taking a foot hold of any. In fact to anyone none the wiser it’s seemingly plausible that these three Irish gentlemen have actually arrived directly from outer space. No, seriously, it’s fascinating to think what goes through a bands mind to produce such obscure sounds. To review this album conventionally in all honesty seems impossible and quite frankly pointless. It has ten songs and one of them is called ‘(-_-)’, which might just give you an idea of what to expect. The Wexford lads certainly don’t shy away from experimenting with an array of instruments from marimba, horns, vocoders and a copious amount of synthesisers. All accompanying the basic three piece set up of drums, bass and guitar. One thing that makes this album so great is that while being frantically erratic for the majority of the 40 minutes, each track has underlying melodies and structure which keep you immersed within it instead of simply baffling you into a state of utter confusion. Lar Kaye on guitar fills the album with mouth watering riffs. Taking you from funky flurries to beastly post rock assaults and with the occasional muted word from a talkbox the whole experience gets even more bizarre. Instrumental bands lately seem to be simply falling into place within the pigeon holes of their peers, which don’t get me wrong isn’t always a bad thing, but Adebisi Shank have done the complete opposite. It’s amazing how much a band can experiment with their own sound, at times creating a great big delightful mess while still delivering something coherent. There must be something in their water, and whatever it is I hope it’s there to stay, you’ll be hard pressed to find anything this exciting, enjoyable and grandly outlandish for a very long time. 'This Is The Second Album Of A Band Called Adebisi Shank' by Adebisi Shank is released on September 6th through Big Scary Monsters Records.